Taco Bell is making drive-thru dreams come true: The late-night junk food purveyor for stoned millennials everywhere is finally adding fries to the menu, as of January 25. The fries are coated in what Taco Bell calls a “bold Mexican seasoning,” and the $1 portion will come with a side of nacho cheese sauce for dipping. The fries can also be ordered “Supreme” for $2.49 or “Bell Grande” style for $3.49, which will add various accoutrement such as ground beef, pico de gallo, nacho cheese, and/or sour cream. For only a buck, I'll at least give them a try. Hmm, sounds appetizing. I'll also try this out one of these days. We've had this in Canada for years and years now. I had these at Westfarms Mall a few weeks ago. Better than their nachos, because the fries are heavily seasoned, while the chips are flavorless. At $5 the "Supreme" version was definitely overpriced (I'm guessing it's cheaper outside of upscale Connecticut malls). Is it listed as poutine on the Canadian menus? I'll probably never try them because I don't patronize Taco Bell, but the current commercials with Josh Duhamel are pretty good. I got a free one as they were handing them out at release. Very good FF fries and the dipping sauce was good too. I had my annual Taco Bell craving tonight, and the fries were $1 with dipping sauce, so I figured what the heck. They're really tasty! The coating on them reminds me of nacho cheese Doritos, and the sauce has a little bit of a bite to it. And since the fries are larger cut, they don't get crispy (I dislike crispy fries). I'll definitely be getting them again. Taco Bell is introducing two new french-fry variations designed to rattle taste buds. One is spicy Rattlesnake Fries and the other is Reaper Ranch Fries, named after a hot pepper. These two additions will be put to the test, one in Columbus, Ohio, and the other in Cincinnati, starting Thursday and snake their way into diners' hearts through mid-September, the Mexican-style fast-food chain said. Reaper Ranch Fries Supreme will also be offered as a deluxe item with more ingredients such as seasoned beef and nacho cheese. The two new flavors are spicy counterparts to the chain's Nacho Fries and show that the brand is dipping deeper into offering potato-based items, not just the usual Mexican fare. Both Rattlesnake Fries and the Burrito will be priced at $2.99. Diners will spend $1.29 for Reaper Ranch Fries and $2.49 for Reaper Ranch Fries Supreme. The prices and items will only be on the menu for a limited time. Rattlesnake Fries are topped with nacho cheese, steak, creamy jalapeño sauce and pickled jalapeños. Reaper Ranch Fries are seasoned with Reaper Ranch sauce. 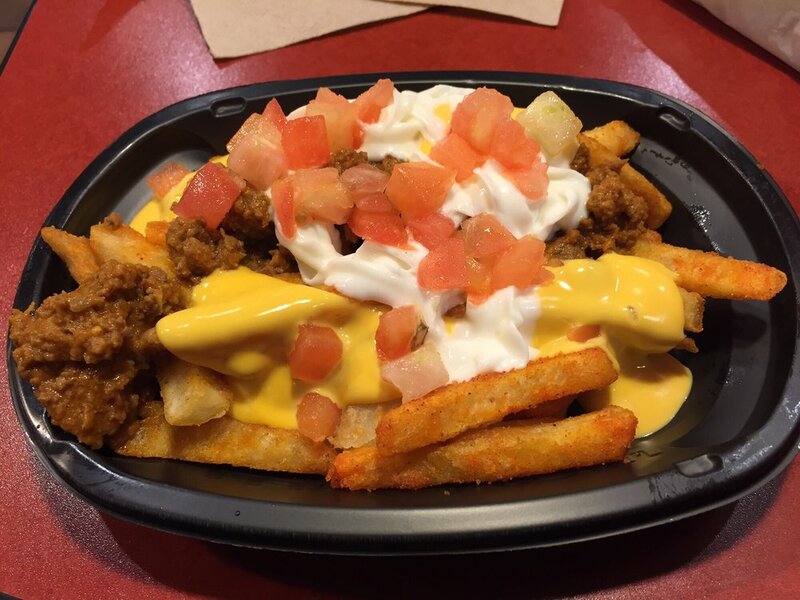 Nacho Fries remains to be on the menu through mid-September, according to Taco Bell. What's next for them. Taco burgers?? They had a sloppy joe type sandwich called the Bell Beefer back in the 80's. There's a Facebook page dedicated to getting Taco Bell to bring it back. Interesting. Hope they bring it back!